As previously reported, in November, the Barnevernet seized Marius and Ruth Bodnariu’s two daughters, two sons and baby Ezekiel. The two eldest children were reportedly removed from school without their parents knowledge, and then Barnevarnet representatives arrived with police at the Bodnariu home, where welfare services seized the remaining children, minus the baby. The organization returned the following day and removed the infant as well after the family tried to resolve the matter after being arrested. Marius Bodnariu’s brother, Daniel, who is a pastor, explained in an online statement that the matter began when the children’s principal contacted welfare services after expressing concerns over how they were being raised, including in regard to the family’s Christian beliefs. “The process of confiscating the Bodnariu children started when the Vevring School principal, the middle school attended by Eliana and Naomi, called the Barnevernet and expressed her concerns regarding the girls’ religious upbringing, her understanding that the girls are being disciplined at home, and that she considers the parents and grandmother to be radical Christians; an overriding concern that the principal’s perception of the parents’ and grandmother’s religious beliefs inhibit and handicap the girls’ development,” he outlined. Peter Costea, the president of the Alliance for Romania’s Families, an attorney who has had access to court records surrounding the case, also concluded that the family’s faith was a factor in the children’s seizure. During the course of the case, the discussion turned to abuse allegations as Barnevernet expressed concern that the children might have been spanked, which is illegal in Norway. The grandparents of the children, who have lived with the family at times, rejected the allegations completely. The Bodnariu’s were reunited with their infant son in April, but continued to press for the return of their remaining four children. On June 2, Romanian MP Ben Oni Ardelean outlined on social media that the Parliamentary Assembly of Council of Europe (PACE) had approved a report on the Bodnariu case. “Today, the members of the Committee for Social Affairs, Health and Sustainable Development of the Parliamentary Assembly of the Council of Europe (PACE) have decided to elaborate a draft report on ‘Striking a balance between the best interest of the child and need to keep the families together,'” he wrote. “The report will consider to which extent the abusive measures taken by the Childcare Social Services (Barnevernet) from Norway are compatible with the Council of Europe’s standards in this specific field, and the resolution, which will draw the main conclusions from the report, will make concrete legislative recommendations to the Norwegian competent authorities,” Aredelean explained. 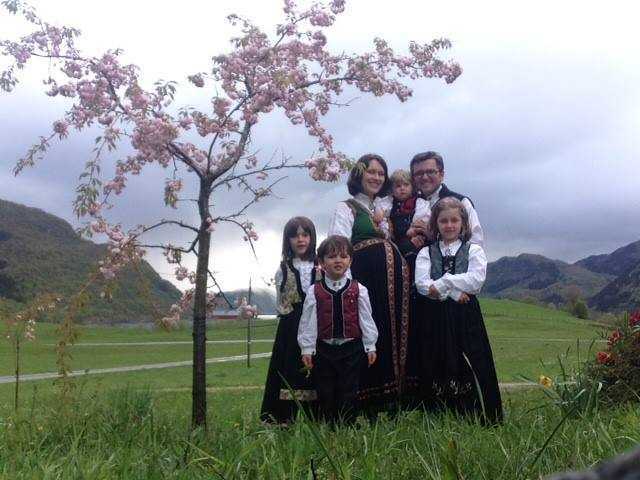 On Friday, it was announced that an agreement had been reached with the Naustdal Municipality of Norway to allow for the return of the Bodnariu children. “[W]e are pleased that we have arrived at this result and for the cooperation that is created,” Councilman Øyvind Bang-Olsen told the publication Dagen. The family is now requesting privacy as their family reintegrates. Protests in support of the Bodnariu’s had been underway for the past several months in cities around the globe.